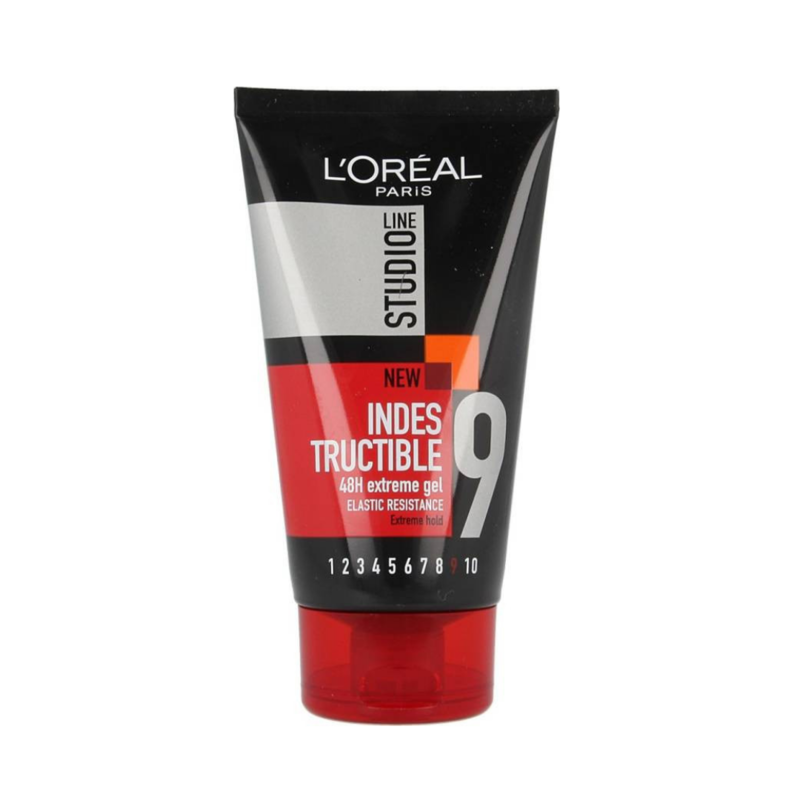 L'oreal Studio Line Indestructible Gel Is The 1st Styling Gel From L'oreal Paris Which Allows Your Style To Bounce-Back. Hand, Hood And Helmut Resistant. No Messing With Your Style. Technological Innovation, Style Memorising Effect For Extreme Hold With Elastic Resistance. Designed To Bounce Back And Resist Squashing. STYLE ADVICE: 1. 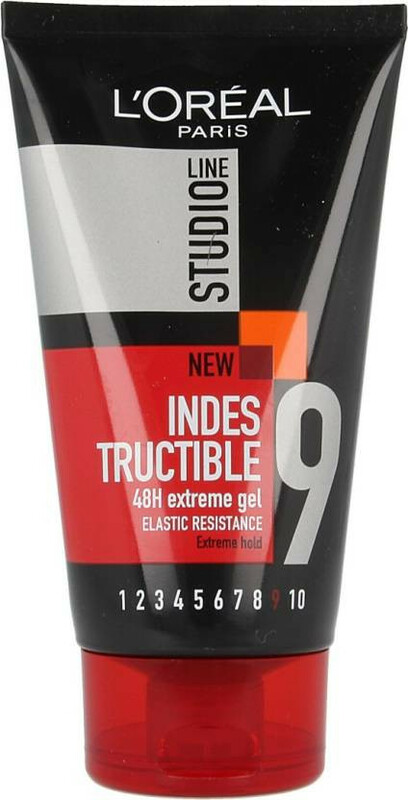 Apply on dry or damp hair. 2. Spread evenly all over your hair. • Then stretch it from the roots to the tips to create spikes. Twist the sections for larger spikes. • Smooth it with your palms for an ultra sleek style.